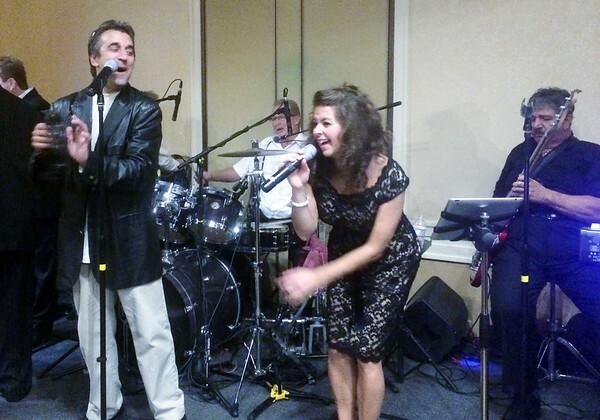 The B Street Bombers were the featured performing act at The Northeast Independent Living Program, Inc. (NILP), event held at the Wyndham Andover Hotel on September 26, 2014. They were performing their “High Energy Music in Support of All People With Disabilities” to a sellout audience of over 200 people that also enjoyed a buffet dinner that was offered to attendees at this event. In addition, raffle items and silent auction items that were all donated by individuals or members of the local business were awarded to lucky winners who attended this event. The evening was a great success with all proceeds going to support NILP’s services, programs, and advocacy for all people with disabilities who wish to live independently in the community in the 52 cities and towns that NILP serves in Northeast Massachusetts.